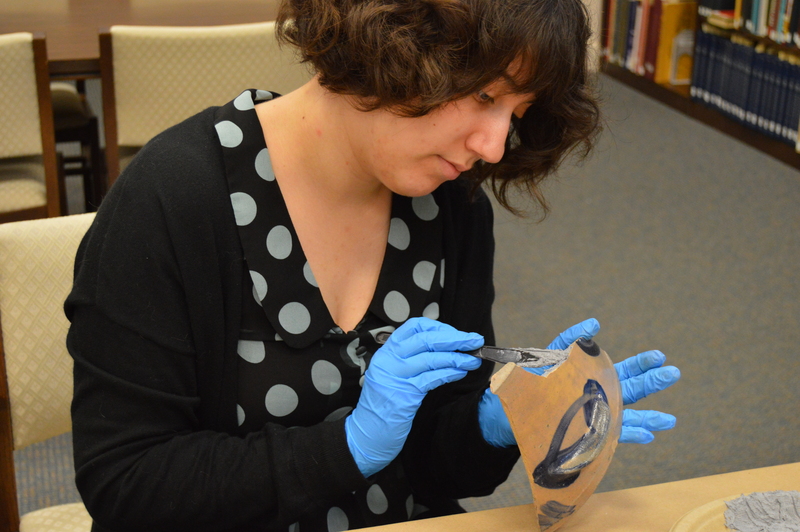 A blog post by Museum Educator (and former JMM intern) Marisa Shultz! To read more posts from Marisa, click here. Cara Bennet’s pop-up exhibit Just Desserts: Baking and Jewish Identity (which is on display here at the Museum until September 27th), inspired me to think about the relationship between cooking and teaching! Whether it’s kneading challah, baking kugel, or folding hamantaschen, I really love to cook; it’s an activity I take part in almost every day, save for when I have leftovers from the night before. To me, cooking creates a sense of togetherness and connection, both with those whom you are cooking for, and with the author of the recipe. Plus, little is better than enjoying the fruit of one’s labors in the form of a homemade meal (and yes, that pun was intended!). 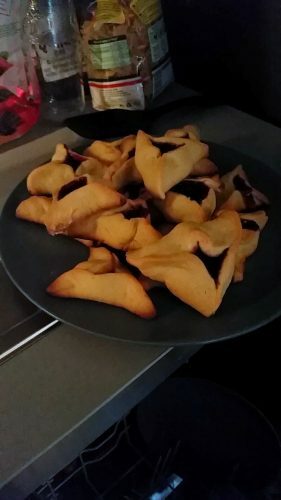 These are hamantaschen that my friends and I made while we were living in Prague, Czechia a few years ago. It was a wonderful shared experience, and I got to learn about how different Jewish communities celebrate Purim. Have you ever heard of the term mise en place? It’s a fancy French term they teach aspiring chefs in culinary school that roughly means “everything in its place.” For the chef, this means not only having already chopped, measured, and prepared all of the necessary ingredients before even beginning a recipe, but also having all of the necessary equipment (even the humble tea towel), in their designated spaces. Plus, this means that the chef has read the recipe at least once or twice, understands what needs to happen, and has already essentially choreographed his/her movements to ensure that everything goes smoothly while cooking. Now, I’ll admit, I don’t always cook or bake with the idea of mise en place in mind; in fact I’m pretty bad at it. There I am panicking in the kitchen, simultaneously counting the seven cups of flour that goes into my challah recipe while trying to remember what ingredient goes into the mixer next! Luckily for me, this organized chaos approach, has worked well for me most of my life, and I’ve only ever had to throw out one batch of challah dough. 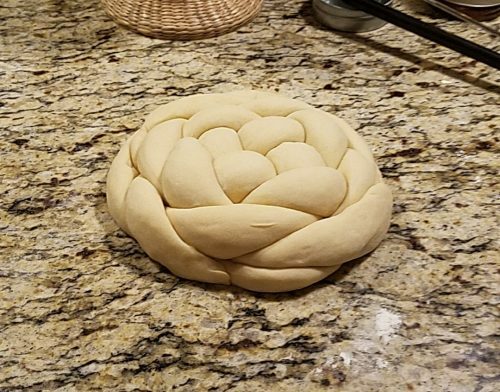 This is challah dough that I braided into a round shape for my family’s Rosh Hashanah celebration. I started making challah from scratch about a year ago, and I am so glad I took the plunge! Luckily for me, this one came out perfectly, despite my organized chaos in the kitchen. But, when it comes to teaching a class or leading and educational program, I don’t like taking those kinds of risks. I don’t want students’ experiences to be marred by a lesson or program that I stumble over because I wasn’t prepared when they walked through the door. When it comes to teaching, I adopt this concept of mise en place. This doesn’t mean that there won’t be things that have to be adjusted or even changed on the spot. Flexibility is still an important and necessary piece of the education puzzle; however, this approach does mean that I can prepare a great deal ahead of time to help the program run smoothly. To do so means not having to worry about those things while actively teaching. This means that before the students have walked through the door, I have double checked that we have enough materials for the expected number of students, and that all of my materials are in their places for swift and easy access. This means that I have reviewed the steps to the program and my own choreography. What is so great, I have found, is that when I approach teaching with the concept of mise en place, those worries of how much time should I give them in the exhibit, or did I remember to bring my answer key to the orientation space, all melt away. What I am left with is the ability to focus on the students’ learning and to enjoy the experience. Every week we’re asking our summer interns to share some thoughts and responses to various experiences and readings. This week we asked them to reflect on their internships as a whole. To read more posts from JMM interns, past and present, click here. By the time this reflection is completed and published, the Jewish Museum of Maryland, in conjunction with the Baltimore Jewish Council and the Maryland State Department of Education, will have concluded its 13th annual Summer Teachers Institute. The Summer Teachers Institute strives to provide teachers with the best practices in Holocaust education; it has been an extremely powerful, timely, and poignant workshop so far, with profound discussion and thoughtful questions. 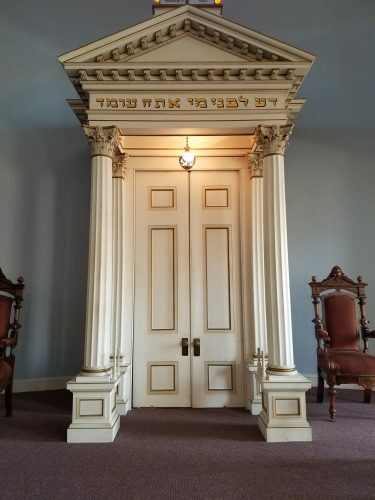 My favorite artifacts in the entire museum are the three Torah scrolls in the ark of the Lloyd Street Synagogue; all three are survivors of the Holocaust. As you might remember, I actually did not earn a degree in museum studies, or exhibit design, or museum management; I studied English, the American Civil War, and Education. 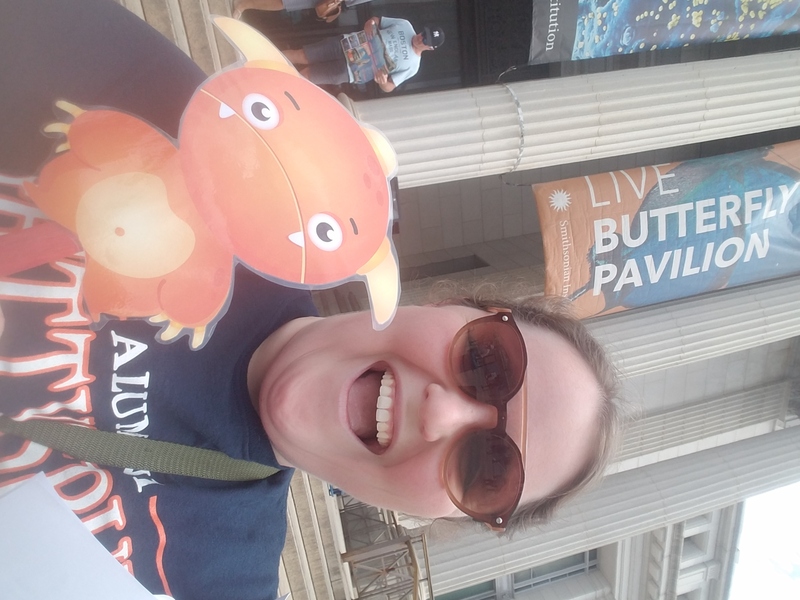 This internship has peeled back the curtain on museums and really showed me and allowed me to experience first-hand the inner workings of what it takes to run one of my favorite kinds of cultural institutions. The balance I am referring to is between individual and collaborative work. It is important that employees have the opportunity to produce and shape their own ideas because their creativity could be lost in the fold otherwise. Yet, it is also important to work collaboratively, in which feedback and constructive criticism helps enrich and perfect the product. We strike this balance often in the Education and Programs departments. 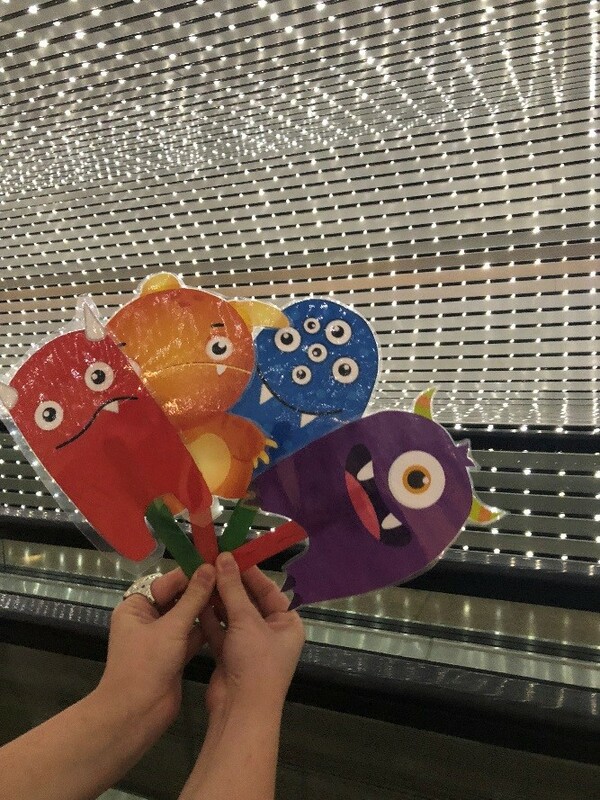 For instance, I have been working on a self-guided activity book for families to do while exploring the Lloyd Street Synagogue; I created the original activities, but then I received essential feedback from those both inside and outside of the department, that helped identify necessary improvements. This balance helps both produce and polish the programs and experiences we provide our visitors. Last, but most importantly is the community. I have had the distinct pleasure and honor to work with incredibly dedicated, passionate, and supportive staff members and volunteers that provided both a space for me to contribute but also a space for me to learn and grow. Working directly with our diverse visitor base illustrated the direct impact of our shared work and vision. 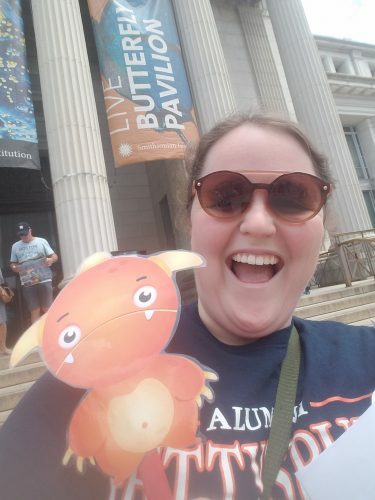 Here I am outside of the National Museum of Natural History with my “flat pal.” Each intern had a flat pal to take pictures with while on our trip to D.C. a few weeks ago; I named mine Harvey. 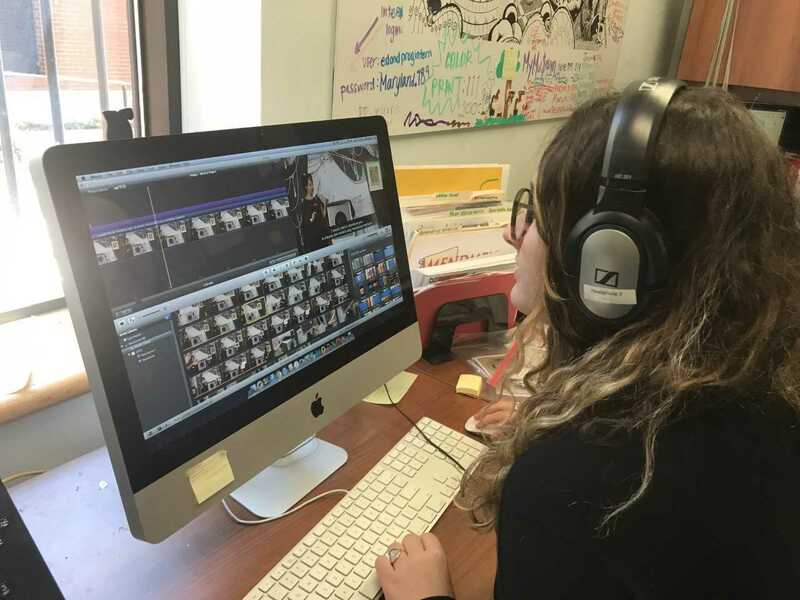 I am so thankful to have worked on a variety of projects including the Vanishing Elephant, the Summer Teachers Institute, and programming for the Jewish Refugees and Shanghai exhibit; I am so proud to have worked with the Jewish Museum of Maryland this summer! Our internship is coming to an end. Ten weeks sounded like a lot of time when we first started, but the last month really flew by quickly. As the days go by, I keep thinking about how much left I want to do, but there just isn’t enough time. 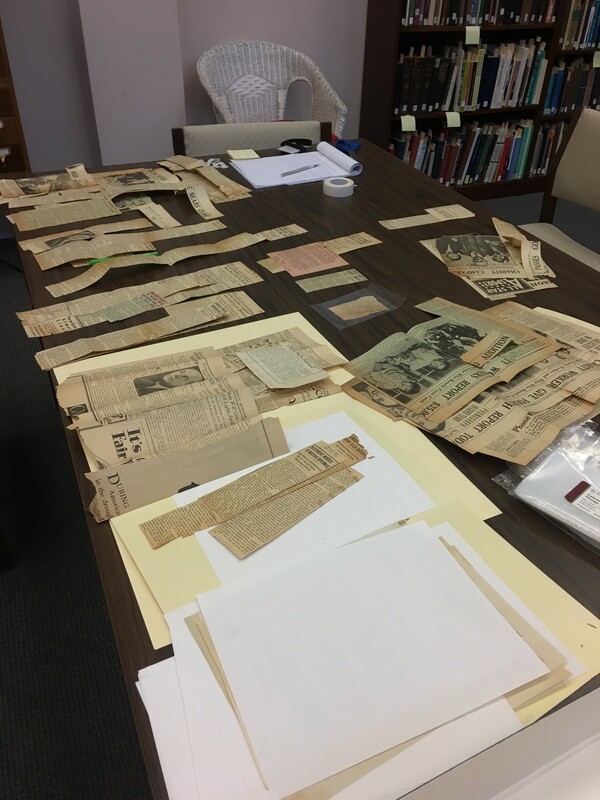 As I’ve said in previous blog posts, the project that I have been working on is doing research for The Associated: Jewish Community Federation of Baltimore and their upcoming centennial. The project is large, and I’ve been working on small pieces, bit by bit, throughout my internship. I’ve looked through scrapbooks and newspaper clippings, searching for information about the women of The Associated as well as what campaigns The Associated held to help immigrants during the Holocaust. I’ve edited photos and designed layouts for some of the research topics. I’ve read books and processed scrapbooks. Overall, I’ve explored an array of different ways of researching and documenting information. And throughout all of this, I’ve learned a lot about the Jewish history of Baltimore. There is still a lot of research to be done for this project, but I feel like I’ve gotten to learn a lot about Baltimore history, so I’m proud of what I was able to find. What my workspace looked like when I was organizing articles about The Associated. It’s hard to choose a favorite part of the internship, because I had a lot of favorite individual moments and experiences. 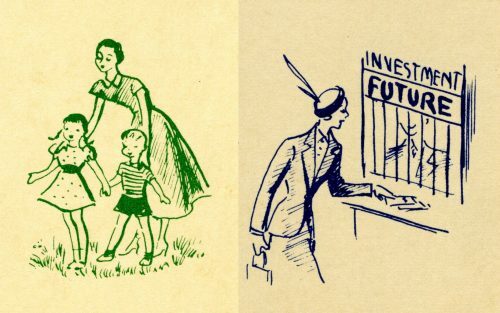 One of my favorite parts of my research was finding old advertisements or illustrations (and if you want to know more about the illustrations I’ve found, you can find my blog post about them here). I was inspired by a lot of the stories I read and art I saw throughout my research. 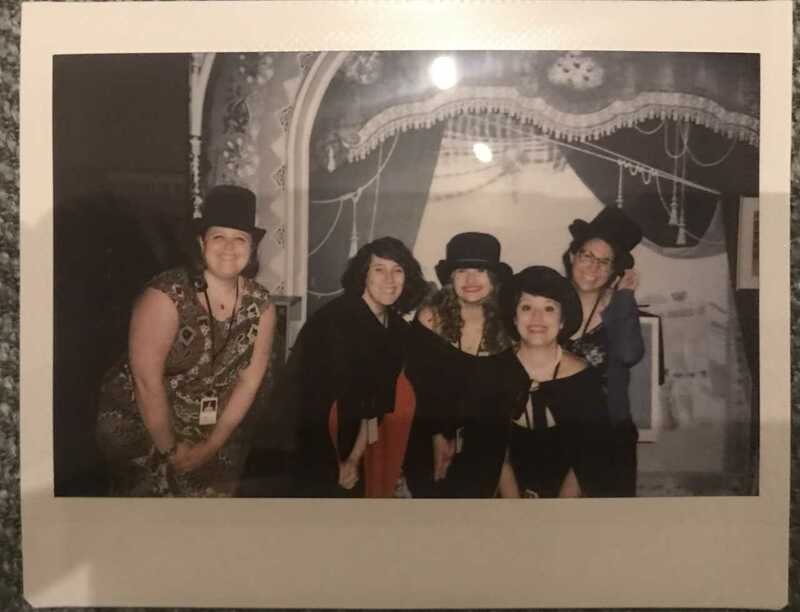 I also loved processing different scrapbooks and learning about history through a single person’s story, which I also wrote a blog post about, found here. However, my favorite experiences by far were all the field trips we took to museums in the Maryland area. I saw so many ways of conveying history and culture, and experimental approaches that museums were taking when creating their “exhibits.” The Peale Center for Baltimore History and Architecture showed us what it was like to reimagine a historical museum, and what place a museum can have within a community. They told us about the interactive ways that Baltimoreans told their stories at The Peale, through immersive plays and props, art exhibits, and more. The National Aquarium Animal Care and Rescue Center showed us what it was like to redesign a traditionally private facility into a public museum. There were at least five other museums we visited, but there isn’t enough room to talk about them all. Illustrations on promotional cards I found through my research on the 1949 Women’s Division of The Associated. 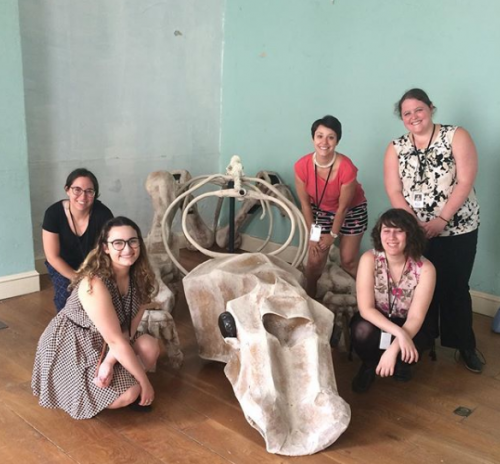 Overall, in this internship I was able to get a taste of what it was like to work in a museum. I got to see the wide range of approaches one can take to museum work, and the different aspects to consider when working at a museum: ethics, accessibility, project management, program planning, and more. Because I was able to work on so many different projects, I also got a feel for what type of work I felt most excited doing. I reaffirmed that I really enjoy the impact of education and storytelling, and how art and interactivity can engage and teach. I’m hoping that I can continue to combine these things in my future jobs and use some of the inspiration I gained in my future artwork as well. Me at my last week of the internship, helping Alexia with some conservational glueing of ceramic pot shards! I’m glad that I was able to experience all that the JMM had to offer this summer, and now I’m excited to bring what I learned into the work I do going forward! Wao! I can’t believe that it was ten weeks ago when I began my internship at the Jewish Museum of Maryland. Time has flown by quick! My experience at the JMM has been incredible. The different experiences that I had before coming to the JMM allowed me to participate in numerous projects in which I was able to improve and learn even more. While at my internship I was able to learn first hand from professionals on the field and see the different facets museums have. I was able to discover the magic that small museums have, which is that when you work in one you can participate in many projects and everyone works as part of the team. This magic is what makes the JMM great. The incredible staff works together with a high-level of professionalism and the goal to bring new exhibits and make the experience of its visitors the best that it can be. Intern group picture at the Inescapable: The Life & Legacy of Harry Houdini opening. 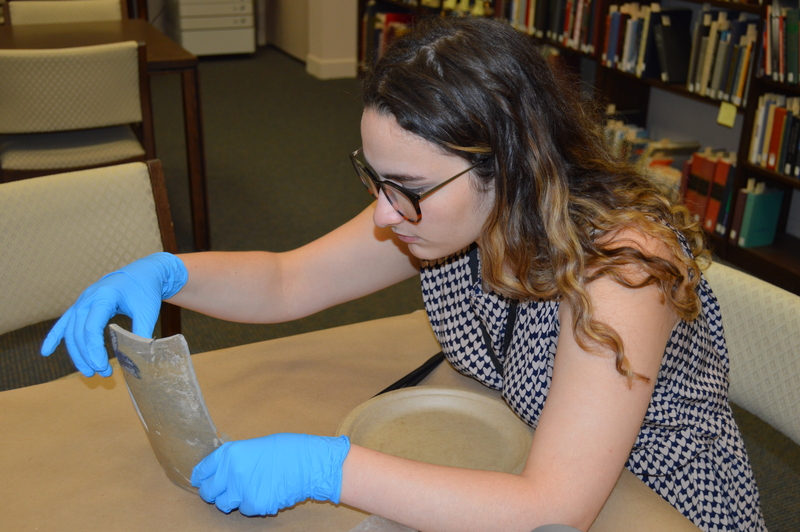 As the Historical Preservation and Research Intern, throughout the past ten weeks I have been able to work closely with the Director of Collections and Exhibits, Joanna Church, and the Archivist, Lorie Rombo. 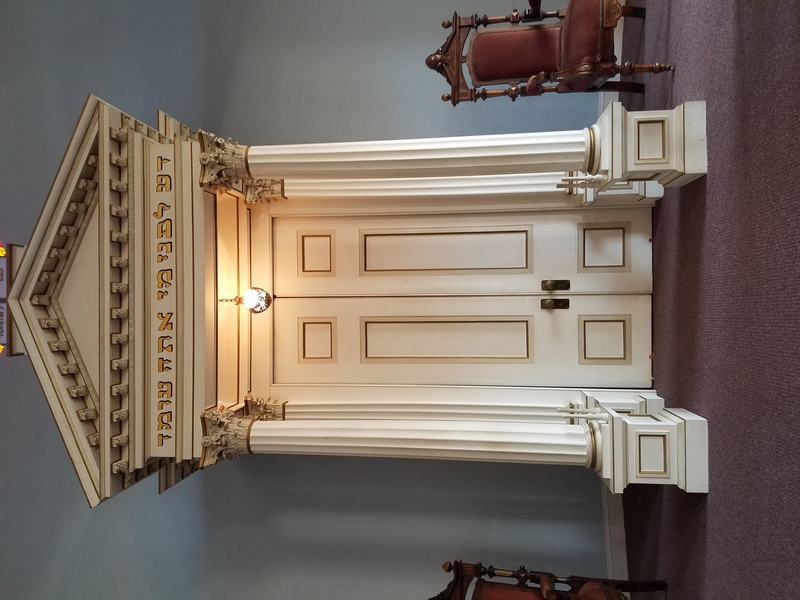 Under their supervision I was able to work in many projects that include working with translations, archaeological artifacts, developing a catalog for documents for the Lloyd Street Synagogue, and update and reorganized a catalog of the Lloyd Street Synagogue. During my last week at week at the Museum, I’ve begun new projects too! I’m currently researching information for an upcoming small archaeology exhibit and photographing the artifacts that may be exhibited. This week I’ve also been working on reconstructing a pot from the Lloyd Street Synagogue. From all the projects that I’ve work on during the internship, this is one of top favorite ones. Each project that I worked with Joanna and Lorie was fun, engaging, and interesting. I was able to apply my knowledge while learning new things about a field that I hope to formally join one day. Reconstructing a pot from the Lloyd Street Synagogue. From my time in the JMM two of my favorite moments were creating the podcast Untangling and Tangling Feminism & Judaism and the instructional video of how to use the Vanishing Elephant trick of Inescapable: The Life & Legacy of Harry Houdini. Creating the podcast with Ash and Cara was a fun process. From brainstorming ideas, to writing it, and finally recording it, the process was amusing. It was nice to see how all our ideas came together to create a project the three of us are extremely proud of. My favorite part of the process was recording the podcast. While recoding we laughed and made sure to be ourselves. Editing video of Jennie the Elephant. At the same time, creating the video for Inescapable was an incredible experience. We filmed the video at the exhibit and demonstrated how to disappear Jennie the Elephant. For the demonstration Ellie was the magician, Marisa oversaw audio, Ash filmed, Cara and I held the script, and at the end of the video I was the magician’s assistant. While filming we had a really good time, and we finished filming quick, which came as a surprise for everyone. After filming the video, I edited it. To edit the video, I used iMovie and was able to put the video together and add fun transitions to the different parts. Because we wanted to be inclusive to our audience, we included on the video captions that I was able to add thanks to Ellie and Marisa’s transcription. The entire experience from start to finish was enjoyable and when we finished the video we were all proud that all our hard work came through. Intern group picture in Washington DC. Before I began my internship at the JMM I didn’t know that I was going to participate in as many projects as I did. Having done as many projects as I did during the summer, showed me that I was good at what I like and that there is always new things to learn. During my time in the JMM I felt that my voice and input was important and encouraged. I was also able to meet a remarkable group of professionals who shared their expertise constantly. My experience at the JMM has been undoubtedly incredible and it has been an honor being an intern this summer. Hanging out with these awesome ladies and this cool mastodon puppet at the Peale Center. Reading my fellow interns’ reflections on their experiences this summer has made me feel prematurely nostalgic about my own internship experience. While the other interns will be leaving me at the end of the week, I’ll be extending my internship through the end of the month to finish up some of the projects I’ve been working on. I’m so excited to be continuing my internship but I’m really going to miss spending time with and learning from these smart, funny, awesome ladies! 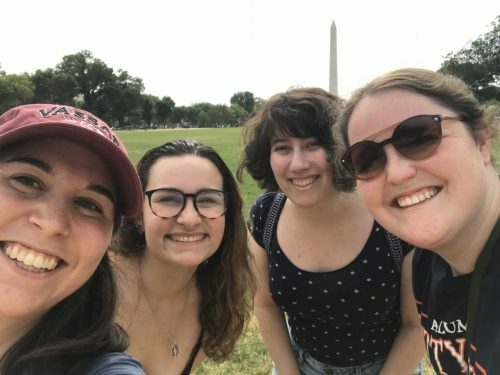 We’ve made so many great memories together this summer from field trips to workshops to podcast recordings to parking adventures in downtown Baltimore. They even made the less glamorous side of museum work like cleaning vitrines and moving boxes (and that dang pew) fun. Artsy flat pal photo shoot during our field trip to the National Gallery.